Birds SA has members from all walks of life. We have a General Committee and several sub-committees. Members of our Committee are listed below. 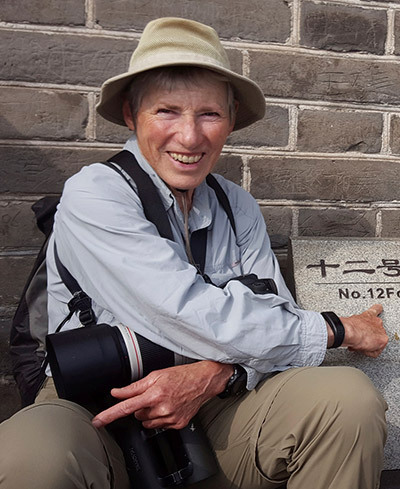 I have been a passionate Birder and Naturalist for over 40 years. 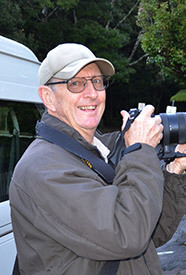 I’ve been fortunate to also have worked professionally in the Conservation industry for the past 20 years (previously a Professional Photographer for 18 years), having a Graduate Diploma in Photography and Design from the SA School of Art and a Degree in Ecotourism from Flinders University (specialising in Conservation Biology). 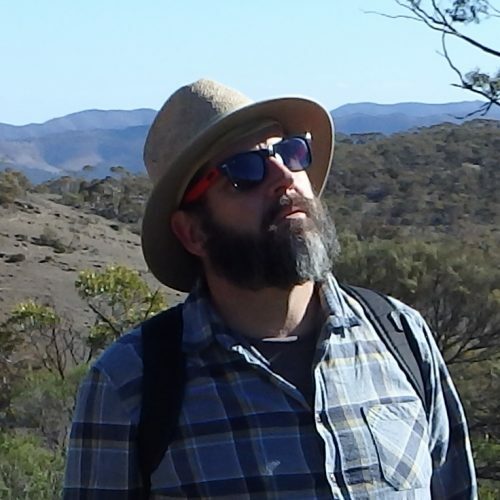 I worked for Earth Sanctuaries’ and Australian Wildlife Conservancy (Warrawong, Yookamurra & Scotia Sanctuaries’) as a Land & Wildlife Manager and EcoTour Guide for 9 years. I also worked for nearly 10 years for (DEWNR) National Parks and Wildlife as a Senior Ranger working around SA in many important Conservation Parks (Innes NP, Coorong NP, Ngarkat CP etc.) and as an Environmental Projects Officer with the Goolwa to Wellington LAP. I’m currently back working for DEW as a Wetlands Management Officer at the SAMDB NRM Office at Murray Bridge and managing my own business “Birding & Nature Connections” part-time facilitating ‘Birdwatching workshops & Monitoring birds’ and the occasional private guided Bird Tour. I have been a Birds SA member since 2001 and up until recently was Vice president. 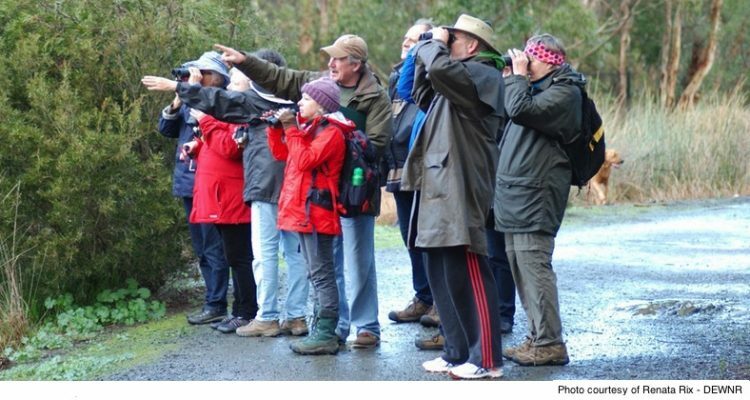 Also, for the past 15 years I was a member of the Management Committee of Birdlife Australia’s Gluepot Bird Reserve and continue to facilitate their Birdwatching course annually and remain as a member of the Gluepot Science and Research Committee. When I find spare time, I volunteer at the SA Museum's Ornithological Section. I grew up in England and my father was a keen amateur birdwatcher. From the 1950's we had holidays in strange places like Cley, Blakeney and Southwold, and at strange times, like April and October. I ringed (banded) with the great Richardson at Cley in the 50's. I lapsed in my youth, but moved for some years to Lepidoptera (moths and butterflies), but I hated killing and when I came to Australia in 1967, I took up birds again. 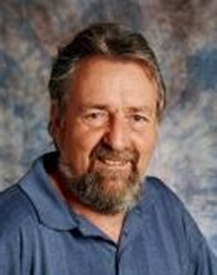 I joined the SAOA as soon as I got here and in nearly 50 years have been on the committee for almost 30 of those years being variously Librarian, President, Vice-President, Member and Editor of the Ornithologist. I was on the National Rarities Committee BARC for several years. I have a broad interest in and love of nature and continue to lead walks for Uni3A, talk on the radio and help to give our WEA course. As Simon Barnes says in "How to be a Bad Birdwatcher", ... I don't go birdwatching ...., I AM a birdwatcher. (My emphasis). I grew up in the northern rivers region of NSW where I was surrounded with a wonderful diversity of birdlife. After a working life in engineering, mainly in new product development and related business activities, retirement has provided the opportunity to pursue my passion for wildlife photography, made far more accessible with modern digital cameras. Birdlife has been a priority with these photographic pursuits and I have come to appreciate the diverse range of bird species available to us in South Australia, within reasonably easy reach, as well as the major threats that many species are facing. Since joining the Conservation Sub-Committee of Birds SA in 2012 I have come to the realisation that the role of Birds SA in actively pursuing the conservation of Australian birds and their habitats has never been more important. On holiday in Broome 2003, I happened to see a Black-winged Stilt through a telescope – clean sleek lines of black and white, but then, PINK LEGS!!! Long, thin, pink legs – just blew my mind! My days as a ‘normal camper’ were over – I purchased a pair of binoculars, joined Birds SA and began the never ending search for the “birding high”. I was born in the obscure village of Taung, South Africa briefly famous in the 1920s as the place where the first evidence of primitive man in Africa, Australopithecus, was discovered. Having the extreme good fortune of being raised on farms in South Africa and Rhodesia (now Zimbabwe) I early developed a great love for nature and particularly birds. When I return to South Africa from time to time and see the African birds I knew from childhood it’s like meeting old friends. I was a member of the Cape Town Bird Club and remember shortly before moving to Australia of being involved in clearing invasive Australian weeds such as wattle and hakea. It was bizarre to find when moving to Australia to find that the “good guys” were the hakea and wattle I was trying to destroy only a few months earlier. I briefly joined Birds SA in 1983. A pity I let my membership lapse under time pressure from work and family. An early memory was being shown White-throated Treecreepers in Belair by Joan Paton. I spent most of my working life as an accountant, which included 23 years with Santos ltd. When I had more time, I returned to my first love, birds and science, rejoined Birds SA and joined the committee in 2011. I am passionate about the environment and cannot understand the mentality of those who see it only as a resource to be used up for man’s pleasure. I joined BirdsSA in 2001, newly retired from working life as a librarian, environmental officer and energy project officer. An avid bushwalker, I was introduced to birding by fellow walkers years before but hadn't time to develop that interest while working. A trekking trip to Sikkim in 2004, bird book in hand, showed me the frustrations of little knowledge and less skill: I vowed my next trip would be with a birding guide. It was Namibia, about 380 species in three weeks (almost doubling my life list) and I was hooked. Now I've seen over half the world's birds and members of all but eight bird families. It's a fascinating way to explore other countries, cultures and food, as well as Australia. Editing South Australian Ornithologist is an interesting challenge both technically and intellectually. I have learnt quite a lot about putting the journal together but there is still plenty more to find out. I was born in England, but most of my adult life has been enjoyed in Adelaide. As I was growing up, I became interested in birds of the English countryside and I was keen to learn the names of the birds I saw around Adelaide. One of my first memories of Australian birds was the sight of a Galah perched on a fence by the side of a road. I was entranced to see such a beautifully coloured bird. 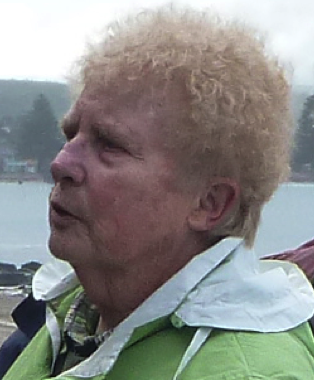 I attended several series of Joan Paton’s WEA classes to learn how to identify Australian birds, and I really enjoyed her excursions, especially the ‘Grand Prix Getaway weekends’ she ran as long as the event was held in Adelaide. I joined Birds SA when I retired from teaching, just when the Association was looking for a replacement Newsletter Editor. A combination of my almost illegible handwriting and the need to produce tests and other materials for my students had made me an eager candidate for word processing as soon as it became available. For this reason, my daughter, Josie, very kindly volunteered my services as Newsletter Editor for Birds SA. I have occupied that position since the beginning of this century. Each time I post the Newsletter to the printers, I think I must be crazy, but I always approach the next edition with interest and enthusiasm. My ambition, which I am sure will never be fulfilled, is to produce a Newsletter with no errors! My interest in birds started when I kept and bred budgies about 40 years ago. Shortly after that my wife Karen and I built aviaries and expanded into also breeding King, Princess and Scarlet-chested parrots for the next 12 years. Our life and free time changed when our son Michael was born and so the birds and aviaries were sold and we concentrated on our other interest, remote area travel. As a family we have been most fortunate in being able to film/ photograph many of Australia’s birds and reptiles during our extensive travels. We joined Birds SA as a ‘young family’ about 12 years ago and appreciated the support and friendship shown to us from day one. The Newsletter, Journal and monthly general meeting are very informative and the field trips and campouts have increased our birding knowledge and been a lot of fun. Planning expedition holidays, photography and maintaining the family home and our faithful 80 series Landcruiser keeps me fully occupied in my retirement. I have always had a love of the southern Australian bush. Having many country cousins, as a western suburbs Adelaidean boy, my family was regularly visiting relatives in Langhorne Creek, Strathalbyn, Nuriootpa, Clare and many other SA towns. When I first saw my cousin’s budgie aviary at Strathalbyn, I knew what I wanted. I built my first wooden cage at about age 10, which was soon replaced by my fitter & turner father with a new steel aviary and I kept and bred many species from then on. I have since been drawn to the conservation of the Australian woodland as a place to preserve these wonderful birds and many more unique creatures and plants which make up our unique Australian symbiotic systems, all trying desperately to survive against urban development and ignorance. I have grown and planted trees for Trees for Life and been a member for over 20 years and when I settled at Sheidow Park in the mid-1980s to start a family, I was determined to save as much as I could and learn as much as I could. In 1996, I joined a group of southern residents trying to save 208 hectares at O’Halloran Hill and my devotion to Glenthorne Farm had begun. I joined Birds SA in September 2005. I enjoy being around like-minded environmentalists. I have joined many conservation and Friends groups including the Australian Plant Society (SA), Bush Heritage Australia and the Australian Conservation Foundation and devote my spare time to anything environmental. Recently I worked to have the City of Marion and residents to start to revegetate Nari Reserve at Sheidow Park and to date about 3,000 plants have been planted with more to follow in coming years. But Glenthorne Farm remains my most consuming passion and has been for over 21 years, where I organise monthly working bees to control weeds and plant seedlings. I grow plants from local seed sources and lobby continuously for Glenthorne’s protection from urban development. State Government and University of Adelaide inaction and ignorance is the bane of my life. I have been the Secretary / Treasurer of the Friends of Glenthorne Inc for about 15 years. I am a CPA qualified accountant and have worked in the insurance industry, the motor vehicle manufacture industry and are currently working in the fishing industry for a large, privately owned Australian company. I have recently also taken up the position of Secretary / Treasurer of the Great Australian Bight Fishing Industry Association Inc and have enjoyed working in the fishing industry for almost 28 years. 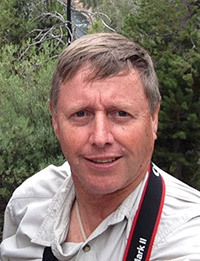 Graham has been a enthusiastic and dedicated Birds SA member for many years and is a highly regarded and respected bird expert. 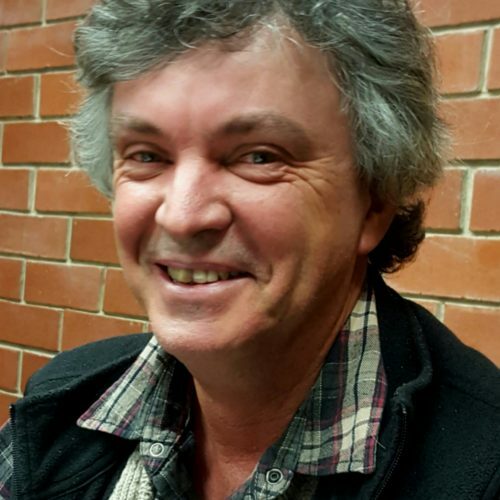 He also manages our Bird reports and sightings records collected by our members over the years, which are then published in the 'Birder' newsletter and the SA Ornithologist Journal. I grew up in Murray Bridge and spent a lot of my childhood playing in nature, and I became passionate about conservation through this early contact with our great wildlife. I pursued this interest through University and work, and have been with the state government environment Department since 1993, on Kangaroo Island, in the Murraylands, and now in head office in Adelaide. 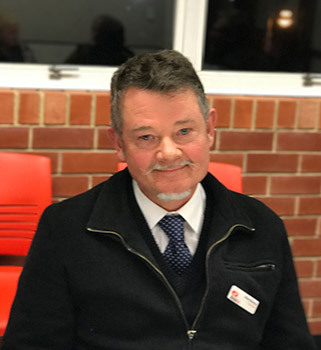 I developed an interest in birds and nature conservation from a young age, fostered by my parents’ enjoyment and curiosity in the natural environment surrounding our home in the Adelaide hills. I pursued a career in conservation through University studies and have worked in the field ever since. I have been employed by the State government environment department since 2001 and while I have not been able to work in the field of bird conservation, I have contributed my time to various bird surveys, including the woodland bird surveys for the Nature Conservation Society of SA (since 2002), over 7 years of surveys in the Craigburn Farm extension to Sturt Gorge Recreation Park, and biological surveys on the Nullarbor and on properties near Oodnadatta. I have also been fortunate to go birdwatching while holidaying in various places, in Australia and overseas. Experiencing the variety of environments birds live in and how they interact with those environments is the most rewarding aspect of birdwatching. My interest in birdwatching began during a 6 month trip around Australia in 1982. Since then, my passion for birdwatching has taken me to some amazing places both here in Australia and overseas. My birding passion has given me the opportunity of meeting some incredible birders and I have formed some wonderful friendships. During my 27 year career as a Librarian I established and ran a specialised aviation library at Parafield Airport in South Australia, worked in Darwin as a University librarian, and worked as a volunteer librarian in Vanuatu for Australian Volunteers International (AVI) and currently working for TAFESA as a Liaison Librarian. I joined Birds SA in 2005 and I have been the Birds SA Librarian since 2007. My interest in birds and birding is largely consequent to my son and his passion for all things bird related. Miles still needs a chauffeur to get where he needs to go to see the things he needs to see - this is where I entered the scene. At first, I didn't quite get what all the fuss was about, but then I started to open my eyes and my mind a little wider, and started to see and understand a little more of the beauty and wonder of the avian world. I also met some fantastic people, and found myself out and about in all different places in nature. Shorebirds - they're my favourite; mostly because they stay still long enough that I can take a half-decent photo. Best experience? Anytime I'm down at Tolderol is pretty special, but being out with Miles on a pelagic from Port MacDonnell has yet to be beaten. Most of all, though, it's about my boy - he's found and is living his passion, and he's doing so with people who support and encourage him. Hopefully, by serving on the Committee, I can in someway start to repay a debt of gratitude that is beyond measure.